The buying agent loosened the stopper on the old steelyard scales as Raphael Ngurime’s bulging bag of cotton swung from the hook. The 69-year-old farmer looked on as his second harvest of the season was weighed. He did not know what the agent was doing, only that when the dial came to rest he appeared to have lost 50kg of his crop. Earlier that morning, when Ngurime had weighed the cotton seed on the village council scales, it had come to 550kg. Now it was just 500kg. He says this is common. Being cheated by agents – middlemen who buy farmers’ cotton and sell it on to ginneries, where cotton is processed into lint for export – is one of the many hardships of being a cotton farmer in Tanzania. Back in his three-roomed mud and wattle home in Sanungi village, where he lives with his daughter and four grandchildren, Ngurime reflects that life could be better “if I was paid for what I harvest”. Around the villages in Tanzania’s Western Cotton Growing Area (WCGA), where 99 per cent of the country’s cotton is grown, the term “agent” has become a byword for cheating. “Cheating comes in various forms – at the weighing scales, half payments, delays in payments, price manipulations,” says Ngurime. “When we come to sell our cotton at village centres, the agents weigh our cotton and after weighing, when the cotton is packed on the truck, they tell us they have run out of cash and our payments will have to be postponed,” explains Francis Mangu, a farmer in Nyangukolwa village in Bariadi, one of eight districts in the Shinyanga cotton growing region of WCGA close to Lake Victoria. Denis Kulwa, a farmer from neighbouring Meatu district, says at other times the agents’ accountants pay them in multiple instalments of as little as Shs 50,000 (£19) to Shs 100,000 (£38), which means they are unable to save any money. “Sometimes they say there is no money so we are then forced to bribe the agents to pay us. This year I settled for an acre of maize instead,” he says. 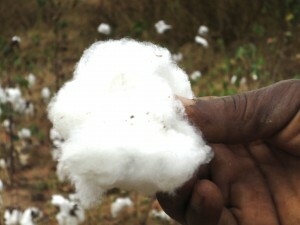 Cotton is one of Tanzania’s key crops. In total around 2 million of the country’s 42 million people depend on cotton for their livelihood. It provides around 13 per cent of the country’s foreign exchange – second only to coffee in agricultural exports. Yet the 400,000 smallholder farmers have seen little improvement in their lives. “We have to confront this reality that grassroots people engaged in cotton growing have not been able to reduce poverty levels,” says Dr Yohana Balele, Shinyanga Regional Commissioner. The deficiencies of the cotton industry are bound up with the poverty of the farmers. With no savings and paltry and uncertain returns, farmers cannot afford pesticides and fertilisers to improve the quality of their cotton. The result is that Tanzanian cotton trades at a discount on the international market due to its lower quality, impacting the country’s potential foreign exchange earnings and GDP. And since the liberalisation of the cotton industry in the 1990s, productivity has fallen sharply, with current average yields of 550kg per hectare – just over a quarter of the world average. Colin Poulton, a research fellow at the Centre for Development, Environment and Policy at the School of Oriental and African Studies (SOAS) in London, says cotton has the potential to reduce poverty in Tanzania because it can be grown across a wide area of the country. There are also relatively few other opportunities for people to increase their incomes. In addition, there has been no system for providing credit to farmers for fertiliser. Low productivity, combined with falling global cotton prices in the last 15 years, has actually conspired to make farmers poorer. 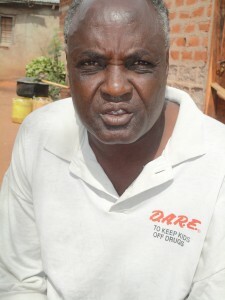 Though Ngurime might not understand the economics, he feels the effects. With fluctuating global prices of cotton and increasingly poor returns he has opted to grow other crops alongside his cotton. Walking around Ngurime’s few acres, maize can be seen sprouting beside the cotton plants, while green leaves of the occasional groundnut [peanut] plant grow low down on the ground. The government hopes a new approach to farming will help to turn the industry around, reducing poverty and boosting the economy at the same time. From December this year, when farmers start to plant their cotton again, the Cotton Board of Tanzania has announced that a new type of “contract” farming will be rolled out across WCGA. “Contract farming” establishes direct contracts between the farmers and ginneries, removing the agent from the process. Farmers Business Groups, formed by the farmers themselves, will replace the agents. As part of the contract, the ginneries provide the farmers with “inputs” – such as fertilisers, pesticides, cotton seed and tractors to plough the fields – to improve the amount and quality of cotton grown. Each ginnery must also employ so-called extension workers to give farmers advice on aspects of their crop. In return for their investment, the farmers agree to sell the cotton exclusively to the ginnery, while tighter licensing of ginneries and closer monitoring of regulations will then protect ginneries from the risk of ‘side-selling’. The Gatsby programme also supports a public-private partnership between local research stations and an international private sector seed company to develop, multiply and distribute improved seed. “Contract farming offers the prospect of higher productivity and hence higher returns for farmers, which is central to the poverty reduction potential of cotton,” says Mr Poulton. However, the challenge is in the implementation. He says that Tanzanian ginners will only invest in their own technical capacity if they really trust the integrity of the new system. These changes won’t come too soon for the cotton farmers. Moving across villages in Shinyanga, they tell similar stories: cheating by agents, crop failures due to drought, fluctuating global cotton prices and lack of access to fertilisers and pesticides. 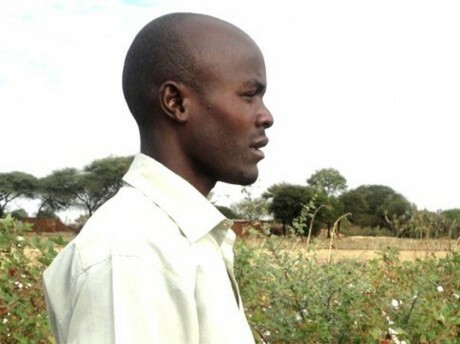 Masingia Madoho’s family has depended on cotton farming for generations. However, the 39-year-old says that it has become harder and harder to support the extended family – a total of 37 people across nine households. Last year, after a few years of poor returns, two of his brothers decided to give up cotton farming and work as “house boys” in Bariadi town. It meant a roof over their heads, meals each day and Shs 15,000 to send home to their families each month. Young people, he says, are disillusioned with the inefficiencies of farming, preferring to go to towns to find short term “survival jobs”. However, the good news is that farmers who took part in the contract farming pilot are already seeing better harvests and returns. Dotto Fadhili, 60, the head of Nyangukolwa village in Shinyanga, made Shs 800,000 (£303) this year, thanks to fertiliser, better seed and advice provided by the contract farming model. Previously the most he had made from farming cotton was Shs 300,000 (£113). “I had hoped for Shs 1.6 million (£492) since I had everything that I needed to get that money but drought reduced my earnings. Still, what I earned is the highest in my 15 years as a cotton farmer,” he said. He now wants to expand the six acres he planted last year to ten acres. keep it up Orton, good story. estos casos también se presentan en Colombia, con los productos agrícolas como el café,en donde las mayores utilidades,no las obtienen los productores, sino los intermediarios que compran el grano a bajo precio y ademas roban con la pesa o pesaje,por estas y otras razones, muchas comunidades,han decidido sembrar cultivos ilícitos como la coca y amapola entre otras.